AA was established to provide the highest achievable level of access to ringette. U14AA formerly known as Tween AA is the first age group to have AA teams. The AA level is accessible to all players who have demonstrated that they have the skill and commitment to compete at the level. Skill evaluations are determined through a competitive evaluation and tryout process. 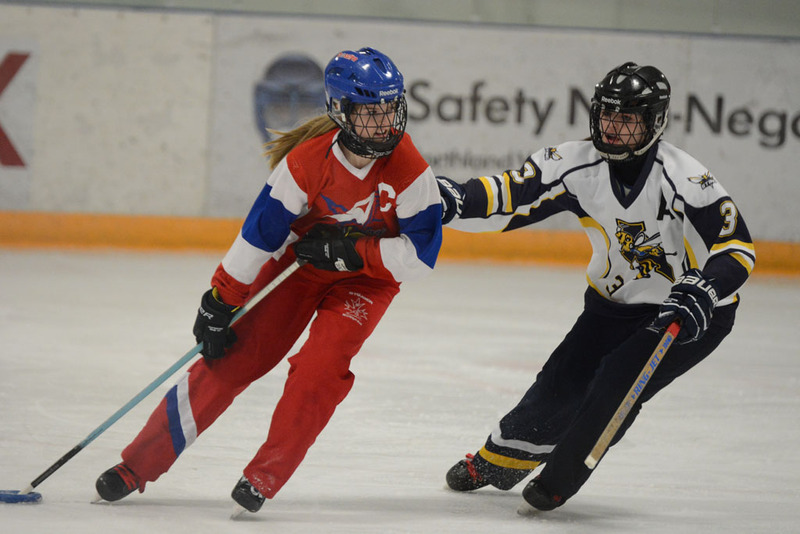 This AA level is the only one that participates in the Western Canadian Ringette Championships while the U16AA, U19AA, and Open AA levels participate in Nationals. At the U14 age group it is the training to train stage through the long-term athlete development program. Training to train has two different programs: community and competition. In the competition players are competitively motivated, and they maintain a balance between participation and competition. 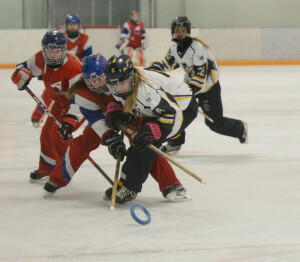 U14AA teams in Calgary play U16A teams throughout the season so they have more games to play during the regular season. AA teams go to some tournaments that aren’t offered to every level such as the Woods tournament in Edmonton. AA has their own provincials every season where U14AA, U16AA, and U19AA participate. In this level their skills are refined so the players are able to perform with quick and precise movements. They understand offensive concepts of open ice, and learn how to read and react, incorporating defense in the offensive zone during game play. There is an emphasis on learning and staying healthy; they have team events that are focused on fun and team building. This entry was posted in Articles, Ringette and tagged in a look into u14aa, play it love it live it, ringette, ringette season, ringette since 1963, since 1963, team sport, the fastest game on ice, u14aa ringette.